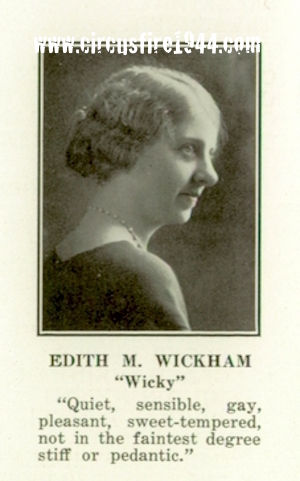 Mrs. Edith May (Wickham) Budrick of 551 Hills Street, East Hartford, was born October 24, 1905 in East Hartford, daughter of Ida F. (Bankcroft) and Horace C. Wickham. She was assumed to have died at the circus grounds after the fire on July 6, although her body was never identified. 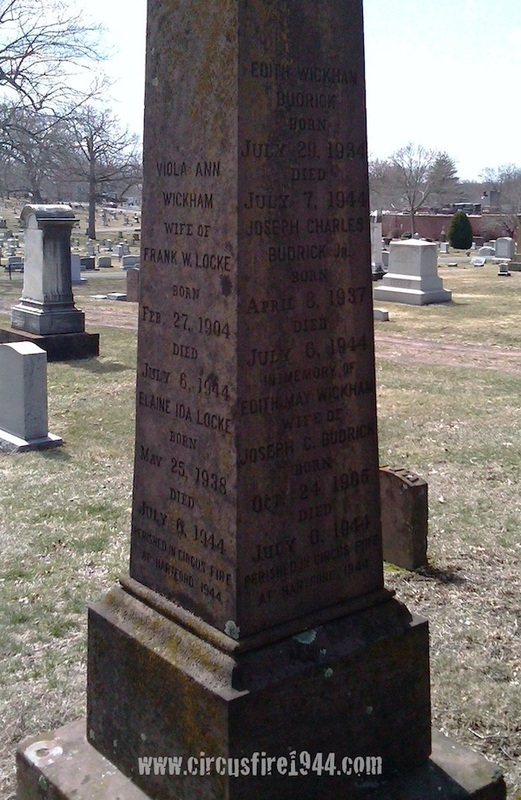 Mrs. Budrick leaves her husband, theater projectionist Joseph C. Budrick, 44; her parents; and her brother Herbert J. Wickham, 43. 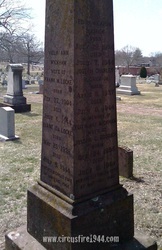 Her children Edith, 9, and Joseph, 7, as well as her sister Viola Locke, 40 and her daughter Elaine Locke, 6, were also victims of the circus fire. 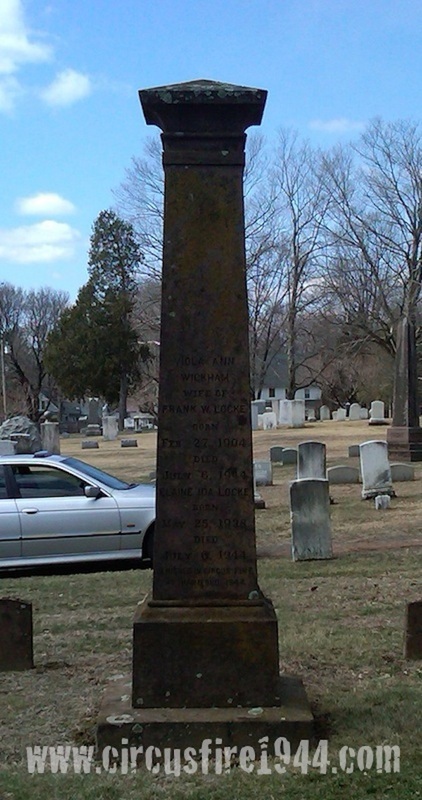 Services were held for all of them at the Watkins Funeral Home in Manchester, and Mrs. Budrick is mentioned on the family's monument at East Cemetery in Manchester. Mrs. Budrick had been listed as missing, and her sister-in-law confirmed that the family was positive that Edith's body was not one of those at the State Armory morgue. She was described as five feet tall, 106 pounds, and wearing a platinum wedding band with engravings which was never recoved. 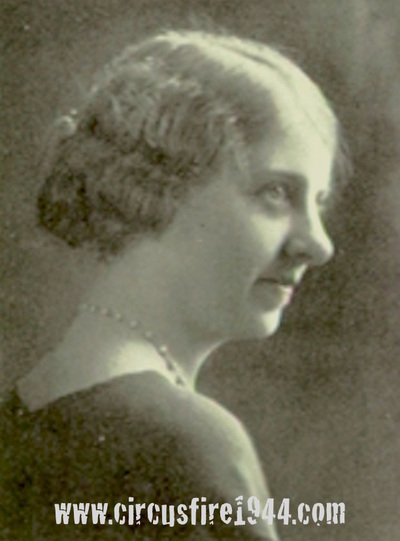 Edith was a graduate of East Hartford High School, Class 1924, Northfield Seminary, and the Willimantic Normal School (now known as Eastern Connecticut State University). Her estate was awarded $11,500 by the arbitration board.